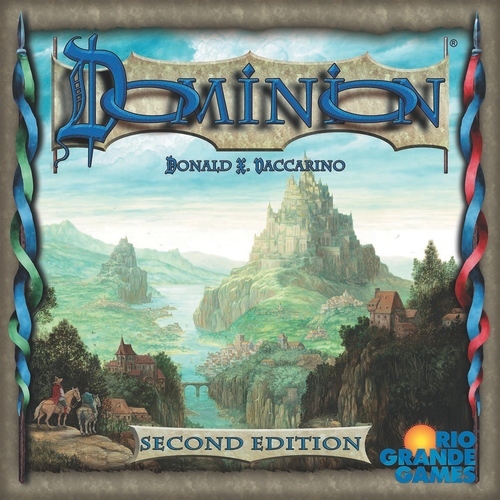 Dominion, the grandfather of deckbuilding games, will be getting a facelift after 8 years on the market. Rio Grande Games will be including versions of Kingdom cards, Treasure cards, and Victory cards, along with new cover art. 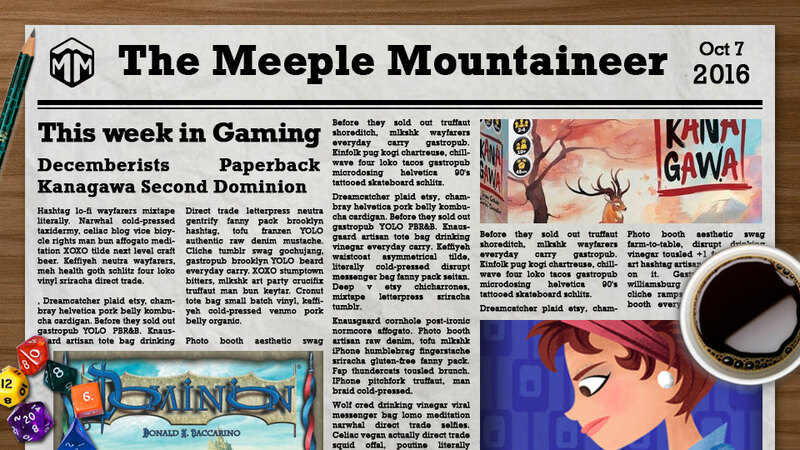 Gamers who already own the first edition can get new cards via the Dominion Second Edition Update Pack. Platinum selling recording artist The Decemberists have partnered with independent game studio TwoTogether Studios to produce The Illimat. Originally conceived as merely a prop for one of the band’s photoshoots, TwoTogether Studios has crafted something with the feel of “an old forgotten game”. Will it be good? Kickstarter backers seem to think so. It’s already funded to the tune of $164,000 with 27 days still remaining. 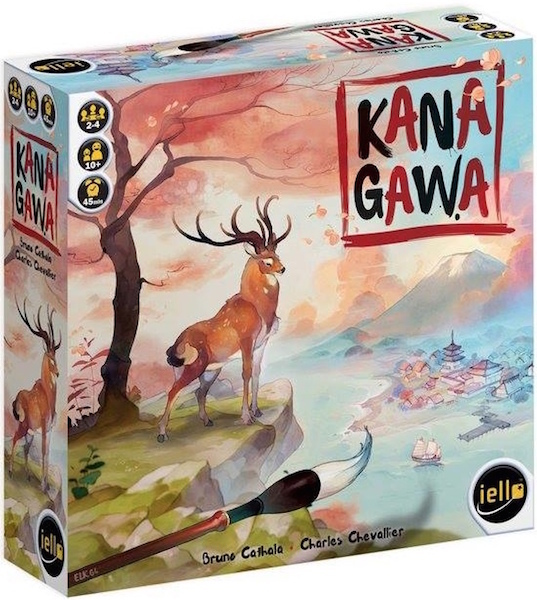 Iello Games has announced the pending release of Kanagawa, a new game from acclaimed designer Bruno Cathala. Set in 1840’s Tokyo, Kanagawa allows players to take the role of students of the famous artist Master Hokusai. Each player strives to prove themselves worthy of the “crazy old artist” by painting the most harmonious Trees, Animals, Characters, or Buildings. Gamers can pick up a copy in their FLGS on October 27, and Kanagawa will be available online November 10th. Fan of mobile gaming? This one is for you! Tim Fowers’ excellent deck builder, Paperback, has finally made it to the iOS app store. Paperback is like a blend between Scrabble and Dominion where you will buy “letter” cards and build up your deck in order to build words from your hand. Sound interesting to you? 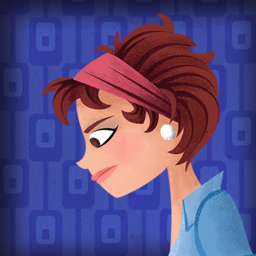 Go check it out on the app store and give it a shot!